The UFC’s featherweight division is the hottest weight class in the company. You read that right. Despite long-time king Jose Aldo being dethroned and its biggest star, Conor McGregor, seemingly never fighting at 145 lbs again, no division offers more intrigue from top to bottom. You don’t have to look further than the next featherweight championship fight. 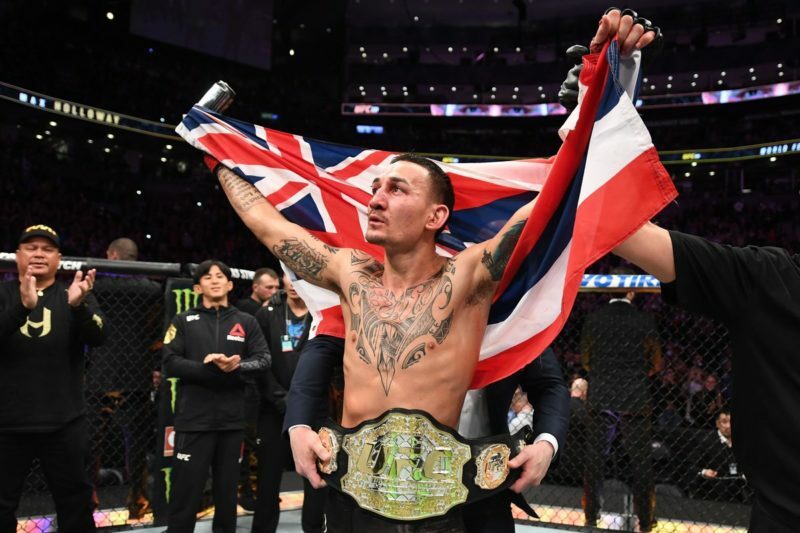 This clash will be between two surging twenty-somethings as champion Max “Blessed” Holloway will defend his belt against undefeated Brian “T-City” Ortega. 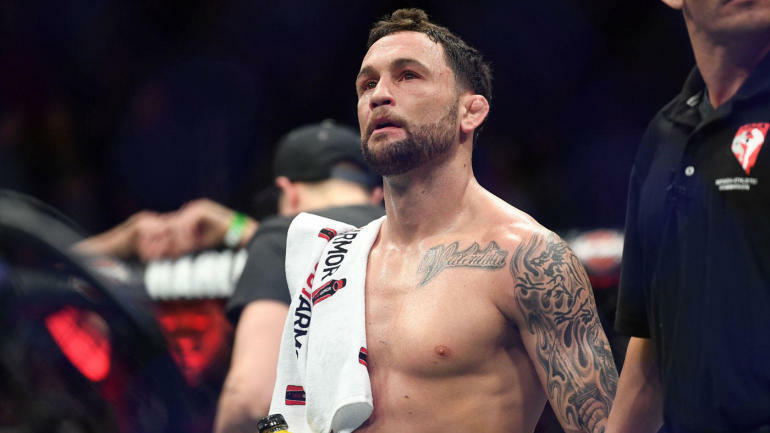 That bout announcement came on the same day that one of the UFC’s elder statesman Frankie Edgar bounced back from his first career knockout loss with a win over fellow veteran Cub Swanson. 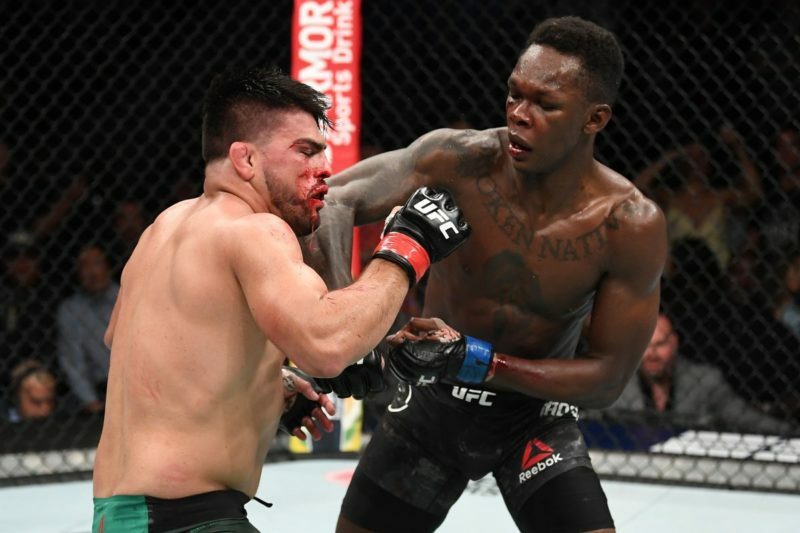 With this win at Fight Night 128, Edgar assured fans that even in a division filled with young killers, he is as much of a threat to the champion as he ever was. In the post-McGregor/Aldo era, the featherweight division has become a land of endless possibility with new blood and veterans alike all viable title contenders. The 145 lbs weight class has what it takes to be the proverbial crown jewel of the UFC for years to come. The rankings system that the UFC implemented in 2013 was done so, in very simple terms, to rank the top 15 fighters of each weight class in order, updating on a weekly basis (whether this system has succeeded is a different can of worms I wish not to open at this time, but I digress). Even though this ranking system should identify the best of the best, the skill gap between the top and bottom is vast in many of the divisions. While, for argument’s sake, fighters ranked #8 through #15 are elite, there would be a sense of shock felt by many if they were to defeat someone in the top 7, let alone the champion. That notion is not so clear when it comes to the featherweights. For the most part, any one in the top 15 could beat anyone else on any given day with little surprise. There are no easy outs to climb the ladder towards the 145 lbs championship. For anyone looking to insert themselves into the rankings, they will be greeted with cutthroat, crafty veterans, former champions, and championship challengers as well as some of the brightest young talent the company has to offer. There are no “washed up” veterans or “overhyped” prospects to use as a stepping stone on the way to the belt. While I am no Joe Silva or Sean Shelby, the top 15 of the featherweight division provides so many competitive potential matchups that make it impossible not to try to play matchmaker. Granted, we already have a dream match up scheduled for UFC 226. 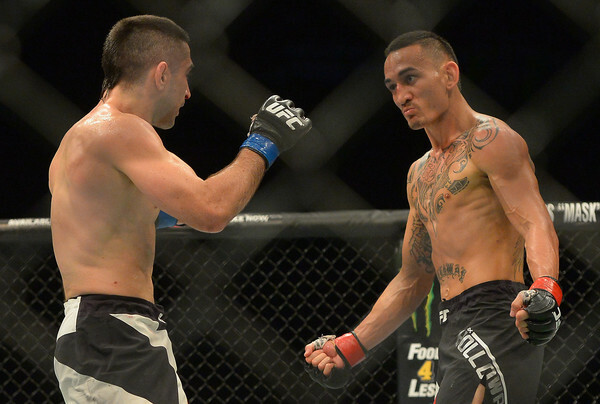 Champion Max “Blessed” Holloway will fight the undefeated number one contender Brian “T-City” Ortega. This matchup pits two of the best representations of the sport, inside and outside of the Octagon, together in a fight that is too close to call this moment. Frankie Edgar vs. Renato Moicano: I bet you didn’t see that one coming. I will preface this by saying Edgar wants the winner of the UFC 226 title match and I tend to agree with him. 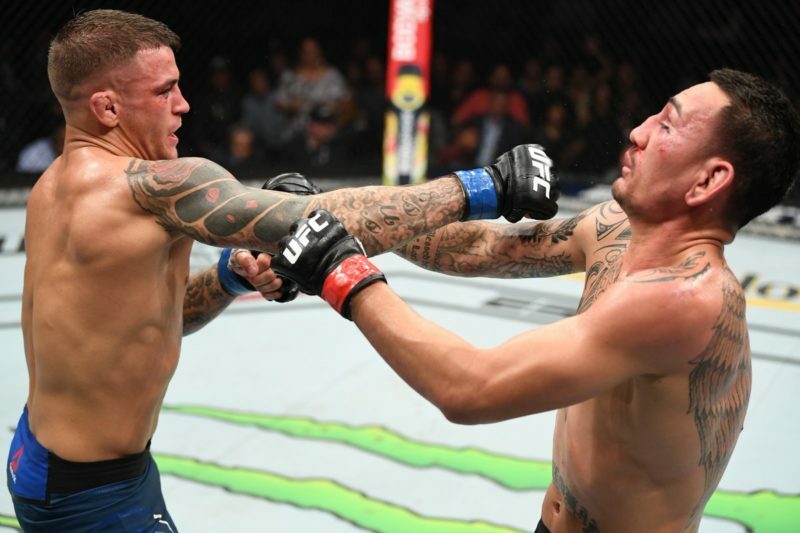 He risked it all to save a fight when he could have sat out and waited for the injured Max Holloway. 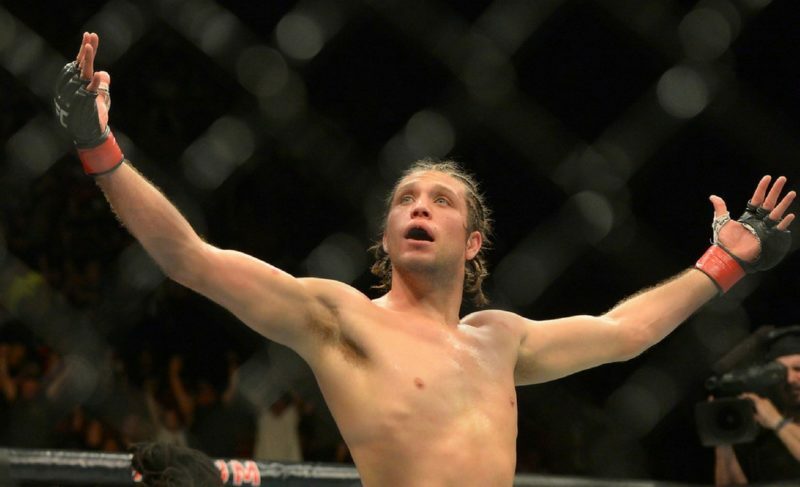 Instead, he elected to fight the surging Brian Ortega and lost via TKO for the first time in his career. He went right back out there and easily dispatched of Cub Swanson to prove he is still worthy. If he doesn’t get the winner immediately, insert Renato “Moicano” Carniero. Moicano is best known for his ground game, but he also has ever evolving Muay Thai. 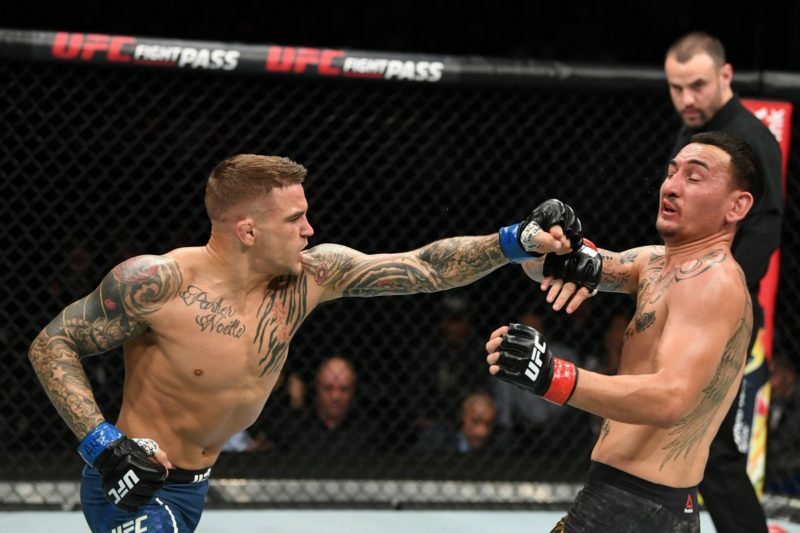 He recently dispatched Calvin Kattar by practically destroying Kattar’s legs, and holds a win over the surging Jeremy Stephens. His only career setback is against the next title challenger, Brian Ortega when Ortega choked him into submission in the third round of a fight I believed he was winning. The 5’11” Moicano’s Jiu-Jitsu and long striking will provide a very interesting stylistic match up against the shorter Edgar’s technical boxing and insane wrestling and cardio. Sign me up. Jeremy Stephens vs. Darren Elkins: Someone’s momentum will temporarily come to a halt in this one. This matchup just seems perfect. These are two men who have been with the company for years who are just now reaching their prime. Elkins is on a six-fight win streak, while Stephens has racked up three consecutive wins, each more impressive than the last. The grinder Elkins would have to use his heart and wrestling to negate the face melting power of Stephens. The winner of this would have every right to demand a title shot. Cub Swanson vs. Josh Emmett: Despite Swanson only being a year older than Emmett, this is just another of the many possible “new guard” vs. “old guard” match-ups that the division provides. Emmett, with only 15 career fights as opposed to Swanson’s 34, will have another shot to prove he belongs fighting the top featherweights after coming off a loss to Jeremy Stephens. Swanson, also coming off a loss, will find a highly ranked opponent to try to begin another climb to a title fight that has evaded him his whole career. Stylistically, the “wrestle-boxer” Emmett will face the vicious Muay Thai of Swanson, and both men have proven they can end a fight quickly. Zabit Magomedsharipov vs. Yair Rodriguez: Finally, we come to a fight between two young prospects who many people see as future title challengers. Zabit is in the position Rodriguez was last year. He is a ferocious young talent with an extremely well-rounded game highlighted by creative striking. 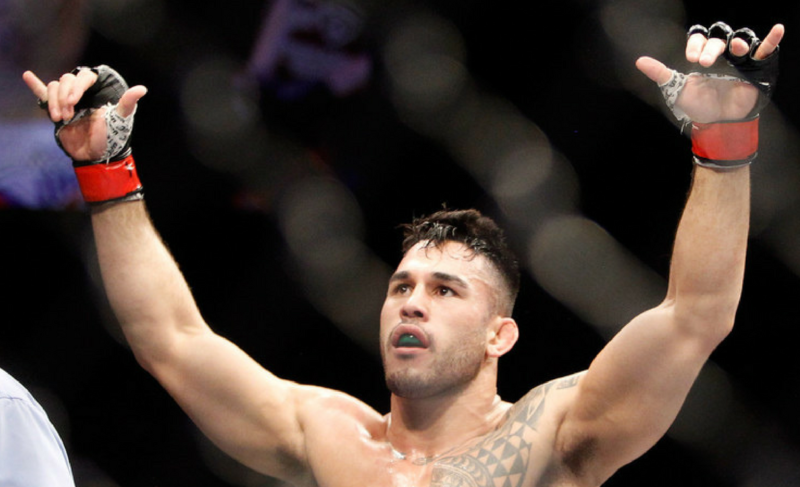 This fight will allow the UFC to avoid the same mistake they made with Rodriguez. Rodriguez had all the hype in the world behind him and was thrown into the deep end of the division too quickly. Rodriguez, still only 25-years-old, can resume his rise to the top that so many people were predicting before his loss to Frankie Edgar. The 6’2” Zabit and the 5’11” Rodriguez will put their creative striking on display in a potential “Fight of the Year” candidate. I could go on forever with potential match-ups. The mere thought of some of these clashes as me filled with excitement. If and when any of these top featherweights meet, it’s going to be must see TV.